Cygames announced Granblue Fantasy Project Re: Link, an action RPG developed by Platinum Games, during its Cygames Next 2016 event in Tokyo. 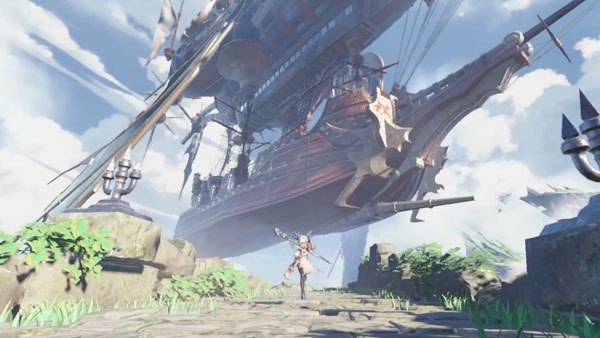 Set in the world of Granblue Fantasy, the game is produced by Cygames’ Koichi Haruta, directed by Cygames’ Tetsuya Fukuhara, features character design by Hideo Minaba, and music by Nobuo Uematsu and Tsutomu Narita. Watch the announcement trailer below. Visit the official website here. View a compiled set of background images from the official website at the gallery.